Elegantly claw set with delicate diamonds, this simply sparkling ring is crafted in lustrous 9ct white gold for a fresh feel. 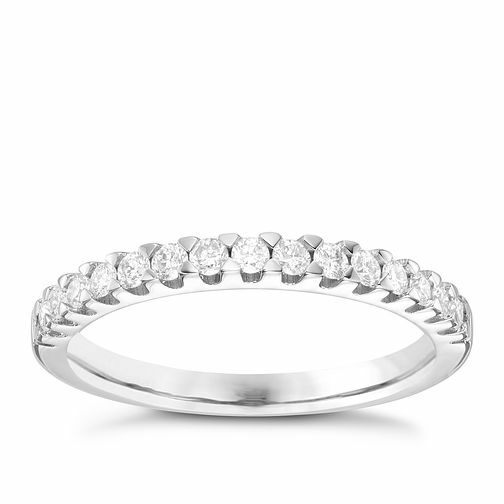 18ct White Gold 0.30 Carat Claw Set Diamond Band is rated 5.0 out of 5 by 1. Rated 5 out of 5 by Anonymous from Wedding April 2019 Stunning ring,beautiful diamonds. Will look fab on my wedding day.